Want to know a bulking secret not many people know about? On a proper lean bulk, you should be just as disciplined and intentional as you are during your cutting or fat loss phases. That means that, yes, calories and macros matter. Dirty bulking can work for strength, but it’s also a one-way ticket to chubby town — and will make it that much harder to get lean later on. That said, you do need to eat quite a few calories on a bulk, and you’ll probably need some high-quality bulking snacks to help you hit your daily totals. Let’s take a closer look at each of them and why they’re perfect for muscle building! You’d probably be surprised how easy it is to undereat protein, even on a bulk. You should probably get somewhere in the neighborhood of .8 to 1 gram of protein per pound of bodyweight each day. So a 170-pound man should shoot for at least 136g per day. That’s more than you think! Consider that your average sized chicken breast has somewhere around 40 grams. So just eating one or two good servings of meat per day won’t be enough. Here are my favorite high-protein snacks that won’t completely explode your calorie intake. 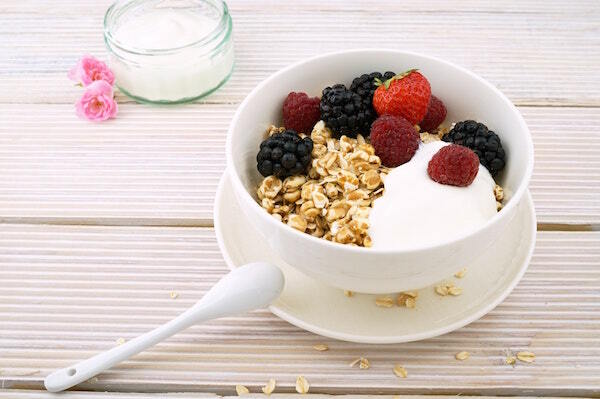 Greek yogurt is an awesome source of protein and usually runs a relatively low calorie total. The packs I get (Chobani) are about 110 calories and 13 grams of protein per container. You can also get a large tub of the stuff and create your own serving sizes. Not only do you get a lot of protein for your buck here, you get a great source of calcium and probiotics for healthy gut bacteria. You’re lying if you say you don’t miss eating string cheese when you were young. It’s delicious (because cheese), fun to eat, not particularly large or filling, and gives you a solid 7 or 8 grams of protein per 80ish calorie stick. I grab these all the time for a quick, yummy protein burst during the day. Speaking of cheese, if you’re really trying to get your protein up without overdoing it on the bulking calories, try a container of cottage cheese. A whole cup of the stuff will run you about 220 calories and pack a whopping 25 grams of protein. For an even better bargain, grab a low-fat cottage cheese for about 160 calories or so per cup. Ah, yes, the old standby. I love a good protein bar. They’re pretty tasty and pack a serious wallop when it comes to protein. It might take a while to find one you really like (my favorites are the ThinkThin brand), but they’re one of the most convenient high-protein snacks around. You’ll probably want one that gives you 20 grams of protein or more per 200-300 calorie bar. If it’s easy to snack on, delicious, high-protein meat you’re craving, try dehydrating it! Real cuts of meat and lean proteins are an amazing option for both cutting and bulking, but they’re not particularly convenient. Jerky, on the other hand, is easy to carry around and has great macros. A stick of beef jerky has somewhere around 7 grams of protein per 80 calories. Leaner jerky, like turkey jerky, has almost twice the protein per calorie. You’ll have to make these ahead of time and store them in the fridge, but damn if they aren’t effective. One large hard-boiled egg has similar macros to a stick of string cheese — about 6 grams of protein and 80 calories. But they’re a tasty alternative if your stomach can’t handle a ton of dairy. Tuna isn’t for everyone, but it is a great snack to have during a lean bulk. One can has about 70 calories and an impressive 16 grams of protein. You can eat it straight out of the can if you want, or pair it with some crackers for a delicious treat. Hitting your calories on a bulk shouldn’t be too hard — just hit up the McDonald’s drive-through and you should be all set! Kidding aside, you want to be really intentional about your calories when bulking. It only takes a very small surplus (100-250 calories per day) to see great progress in the gym. After all, you can only gain around 2 pounds of muscle per month! Too many extra calories won’t get you any stronger, and you know what they’re going to turn into! But if you do need to squeeze in a little extra food to hit your target, you’ll want to do it with somewhat nutritious foods. Here are my favorite snacks to get the job done. People think of nuts as a healthy snack, and in some regards, they are! They have great macros, with a healthy blend of fats, fibrous carbs, and protein. However, they’re higher in calories than you might think. A large handful of peanuts will give you around 160 calories, 5 grams of carbs, 14 grams of fat, and 7 grams of protein. They’re a quick, convenient, and balanced way to get extra calories during the day. Much like nuts, nut butters are an awesome way to load up on healthy calories. A large spoonful (2 tbsp) of peanut butter will have close to 200 calories, 16 grams of fat, 6 grams of carbs, and 8 grams of protein. Plus, you can eat it in like two seconds. And it’s delicious! It’ll add calories without even coming remotely close to filling you up. Milk has fantastic macros. And while not everyone can handle that much dairy, it’s really effective if you can stomach it. Just one cup of whole milk has about 150 calories, 8 grams of good fats, and around 8 grams of protein. It won’t take long to drink and won’t fill you up too much. What’s the best dessert for bulking? Ice cream or FroYo has to be in the running. Because of its sweet nature, it’s REALLY easy to eat, even if you’re already full. That makes it perfect for packing in calories while still getting some healthy fats and protein (as opposed to pure sugar — though it has plenty of that, too). To keep the calories under control, try frozen yogurt. A half-cup serving has about 115 calories and 3 grams of protein, with 4 grams of healthy fats. You wouldn’t think of fruit as a calorie bomb, but something about dried fruit can really pack in the kcals. Because they’re dehydrated, they don’t take up as much room in your stomach and you can easily eat a lot of them. Just one large handful of raisings will probably run you 80-100 calories, mostly due to the extra sugar in there. But you’ll also get a little bit of fiber for your troubles. Sweet, delicious liquid calories are great if you’re struggling to hit your calorie goal. It’s not ideal to get a ton of your calories from sugar, but sometimes you just need to get the job done! If that’s the case, try a glass of apple juice. It’ll give you an easy-to-drink 113 calories with a smidgen of fiber in the mix. The biggest difference between cutting and bulking will usually be how many carbohydrates you consume. If you’re lifting or working out, you’ll need about the same amount of protein either way, but you can dial your carbs (and fats to a lesser extent) up and down for weight loss or gain. Carbs are your body’s main source of energy, so if you’re bulking and hoping to crush it in the gym, you’ll need plenty of good ones for fuel. Grab an apple or a banana for an amazing source of high-quality carbs, like fiber, and plenty of vitamins and minerals. 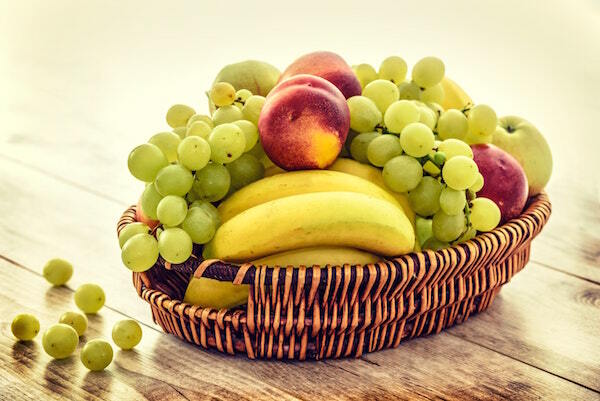 Fruit is pretty easy to eat, delicious, and while it can be surprisingly filling due to its water content, it usually won’t keep you full for that long. Make sure to eat plenty of fruit (and vegetables) on a bulk to get your fiber and vitamins. Sure, you probably have the room in your diet for potato chips or cheese curls, but if it’s energy you’re after there are better options. Go for a whole wheat or whole grain option like Triscuits if you’re looking for something to idly munch on. One serving of Triscuits has about 120 calories with a really nice balance of macros, including 3 grams of fiber (of 20 total carbs), 4 grams of fat, and 3 grams of protein, as well. You can get original Triscuits right here from Prime Pantry. Similarly, oatmeal is another awesome grainy option for getting good carbs in during a bulk. It’s not quite as convenient as opening a bag of crackers, but you can get prepacked oatmeal easily and just add water and pop it in the microwave. A cup of cooked oatmeal will have about 150 calories, 27 grams of carbs (and 4 grams of fiber), plus a solid 6 grams of protein, to boot. Movie theater popcorn is an atomic bomb of fat and calories (though it’s one of my favorite things in the world). Popcorn at home, however, is a terrific healthy snack. 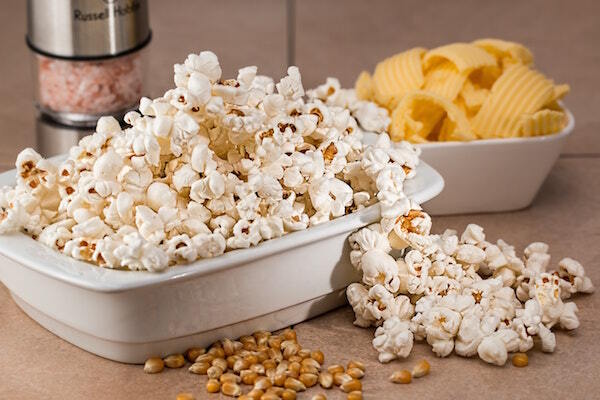 An ounce of homemade popcorn, which is about one small bowl’s worth, should have only around 100 calories with nearly 4 grams of fiber (and 21 total carbs), plus 3 grams of protein and minimal fat. Just add a dash of salt, and maybe a little olive oil if you want to bring the calorie total up. We’re really banging the whole wheat drum because, well, that’s about the best source of carbs you can get besides fruit and vegetables. And unlike rice, which needs cooking, grabbing a snack like whole wheat pretzels is outrageously easy and convenient! A one-ounce serving of pretzels will have around 100 calories with 2 grams of fiber and 23 total carbs. You’ll also get about 3 grams of protein. OK, one last easy-to-grab whole wheat snack for you to try: cereal! You can go with something super healthy like Kashi brand, but even something more sugary like Honey Nut Cheerios is a good whole grain option. Honey Nut Cheerios has about 110 calories per serving, 22 grams of carbs (and 2 grams of fiber), and 2 grams of protein. The sugar content isn’t outrageous, either, at about 9 grams. You’ll also get lots of iron, calcium, and vitamins for your troubles. You can grab them right here on Prime Pantry. Bulking is no excuse not to eat relatively healthy. 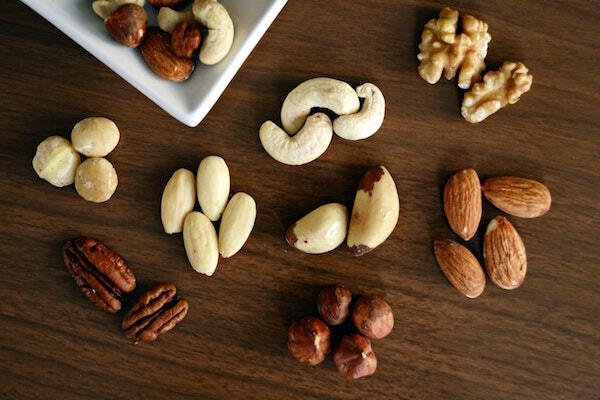 Along with meals that feature a balance of protein, healthy fats, and good carbs; try to find a handful of snacks you can keep around that fit your macros well. Don’t be tempted to default to junk food and fast food options to hit your calories! It’s not that hard to stock up on Greek yogurt, nuts, and whole grain crackers to fill you up between meals. What are your favorite bulking snacks? What did I miss?